fromis_9 has released their teaser for 'It's Okay'. The girls will be releasing a 6-episode webdrama through 'V'. The webdrama casts all 9 members. 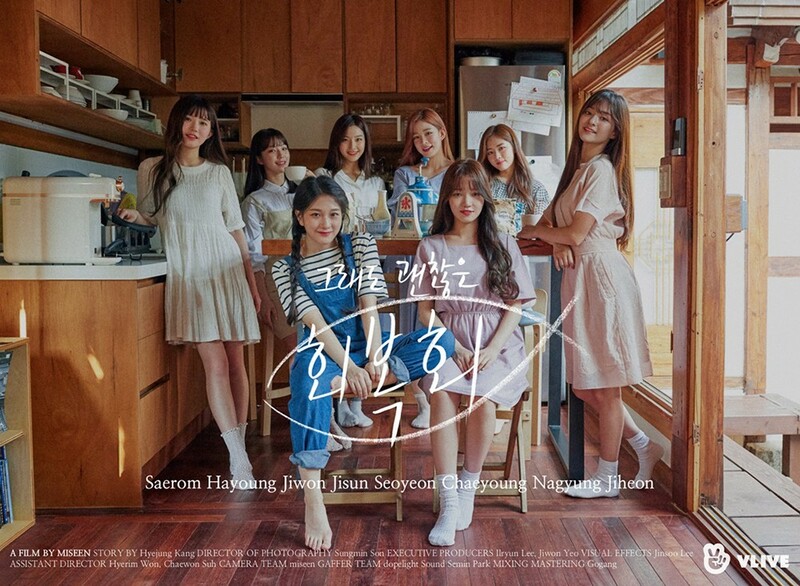 The webdrama is about the 9 members residing in a guesthouse that member Noh Ji Sun plays the owner of, and finding their own stories in life and healing through her cooking. The episodes will start airing every day at 7PM KST from the 15th to the 20th.